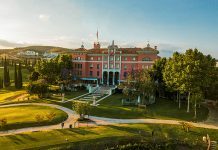 De Vere Hotels, a collection of country estate properties and part of The Principal Hotel Company, has relaunched following an investment of over £100 million from Starwood Capital Group. 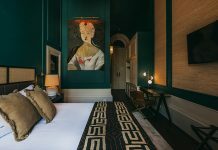 The project forms part of The Principal Hotel Company’s wider £300 million investment programme across the group’s 35 landmark UK properties. Comprising 22 properties, 662 event spaces, 1,200 acres of grounds and over 4,000 guestrooms, the re-launch marks a new chapter for De Vere that sees historic mansion house hotels renovated to celebrate their British heritage and the estates’ natural landscapes. The portfolio also features five properties in central London, including De Vere Grand Connaught Rooms in Covent Garden and De Vere Holborn Bars. The investment in the estate’s grounds has also formed a crucial element of the wider De Vere re-brand, with external landscapes enhanced to create outdoor spaces that are a natural extension of the hotel. The Great Outdoors project has placed outdoor Wi-Fi up to 100m from the properties, commissioned sculptures, created kitchen gardens and introduced bee hives and bug hotels to encourage native wildlife. 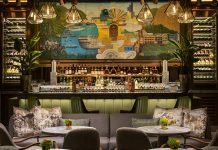 De Vere is also transforming its restaurants and bars through design, introducing ingredient-driven menus based on traditional British cooking and outdoor dining experiences. Partnering with Wendy Martinson OBE, the team has also developed conference menus that help promote energy level and concentration, featuring nutritional values for each dish. A new co-working coffee shop concept, Burr & Co., has also been placed in a number of updated properties and will continue to be introduced to the portfolio. The company’s new meeting and events offer, Smart Space, has also launched, and comprises nine service features. These include executive boardrooms, inspired by the property’s heritage; new Burr & Co. co-working spaces; and the group’s three existing rewards programmes – Applause Rewards, ShowTime Rewards and Trainers’ Club. Laurie Nicol, COO, De Vere comments: “We’ve got a fantastic team working on the transformation of De Vere, and our new-look brand is already receiving great feedback from both business and leisure guests. The £100m invested includes comprehensive hotel renovations, as well as staff training and development, and thoughtful expressions of the new brand such as Hunter wellies, unique sculptures and outdoor breakout spaces. 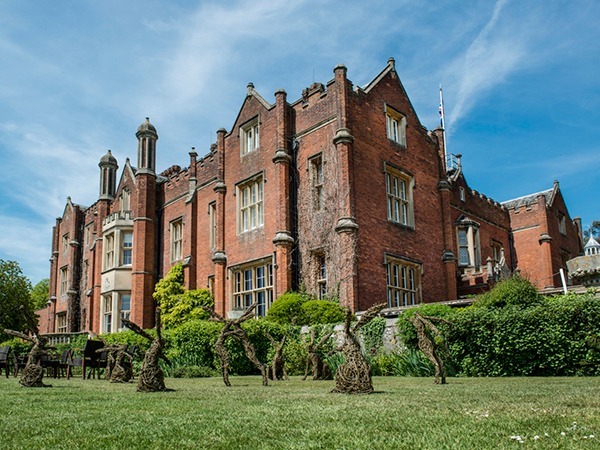 The rebrand follows a series of major renovations including the completion of De Vere Wotton House, De Vere Latimer Estate and De Vere Tortworth Court, with further transformations set to be unveiled across De Vere Beaumont Estate, De Vere Wokefield Estate, and De Vere Horsley Estate.